In their free time, soldiers, especially during World War I, created folk art from discarded bullets, shell casings, and other materiel. They kept their creations as souvenirs or gave them as gifts to loved ones when they returned from war. Ryan Berley will share with us the history of Trench Art and show examples from his collection. The Historical Society will also display the vase that local resident, Von Byre, brought home to his mother. The vase is part of the NPHS’s permanent collection. About the Speaker: Ryan Berley, Curator of the Rose Valley Museum at Thunderbird Lodge, has a life-long interest in antiques. He and his brother are owners of Franklin Fountain and of Shane Confectionery in Philadelphia. 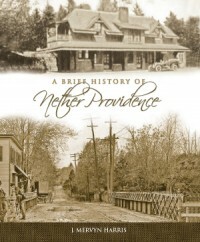 The program is presented by the Nether Providence Historical Society and is free and open to the public. Please RSVP using the contact form below.